Zapier allows you to integrate Crelate with over 270 web services to perform lightweight automated tasks. Using triggers and actions, Zapier can help to automate components of your Crelate workflow. Triggers are events that occur in one app and Actions are the events Zapier automatically performs in another app. A quick example would be: Send me a text message when a contact is created in Crelate. You may view all integration partners here: https://zapier.com/apps/integrations on their web page. 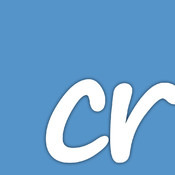 Additionally, to connect with Zapier, please use the link here to find our: Crelate Zapier Connection. Triggers can be configured to fire on the creation, deletion and update on the selected entity. You can attempt to find a record in Crelate via name, email, Crelate Id or External Id. As an example, we can set Zapier to send a text message whenever a contact is created in Crelate. After setting up an account on Zapier, the easiest way to make a zap is to click Make a Zap! on your dashboard. In the editor, search for Crelate in the search bar and select Crelate as the Trigger app. When prompted with the available triggers, select Contact Change. In the next step, Zapier will ask you connect with your Crelate account using you API Key. If API Access is enabled for your organization, select your navigation menu and select "Your Profile & Preferences"
Next, navigate to your API Access section. After you've successfully connected Zapier to Crelate, select the operation you would like to trigger to fire on. For this example, we want to trigger whenever a contact is created, so select Create as the desired operation. You can optionally test the trigger in your Zapier editor by clicking Connect & Continue. While Zapier is listening, create a test contact in your Crelate account. Zapier should pick up on this new contact and indicate success. For your action step, search for SMS by Zapier and select Send SMS for the action method. You will most likely have to confirm your phone number to verify and connect to Zapier. When setting up the template for the SMS message, we can have the message read: "A new contact in Crelate has been created! Name: (Contact Name), Email: (Contact Email)". To include the contact name and email, click on the + button on the right hand side of the message box. Clicking this reveals all the fields available from Crelate to dynamically populate when a trigger is received. You can optionally test the action in the Test this Step section. Once you're finished, be sure to turn your zap on to start receiving texts from Crelate! There may be some cases where you would want to pause your zap, such as bulk importing or updating contacts, to prevent a multitude of triggers firing off. The best way to pause your zap is to turn it off in the Zapier dashboard console. Your Zap Manager can be found in the Zaps tab. Admins in Crelate can also pause triggers from the Crelate app by going to the API Management tab in their Advanced Settings. This tab shows all users who have an active API key and any triggers registered to them. In User's Webhooks, click on the row of the trigger you would like to pause. When the selected row is highlighted, click configure to toggle the trigger on or off, the status of the trigger should be reflected in the Status column. If you have paused a trigger in Crelate, be sure to turn it back on when you're ready for Zapier to listen to your triggers again. Zapier is a good solution for lightweight and one way events such as "if this happens in A then make this happen in B". Zapier cannot import or export pre-existing items and Zapier doesn't handle two-way syncing. Access to the Crelate App on Zapier is currently invite only. We are hoping to release to the general public soon, if you're interested in being part of our beta process, please contact support@crelate.com. Please be advised that the Crelate App is in its beta phases, so you may experience some inconsistencies with triggers. If you want to ensure you get triggers from a certain user, be sure that the org has API Access Enabled and has an active API Key.